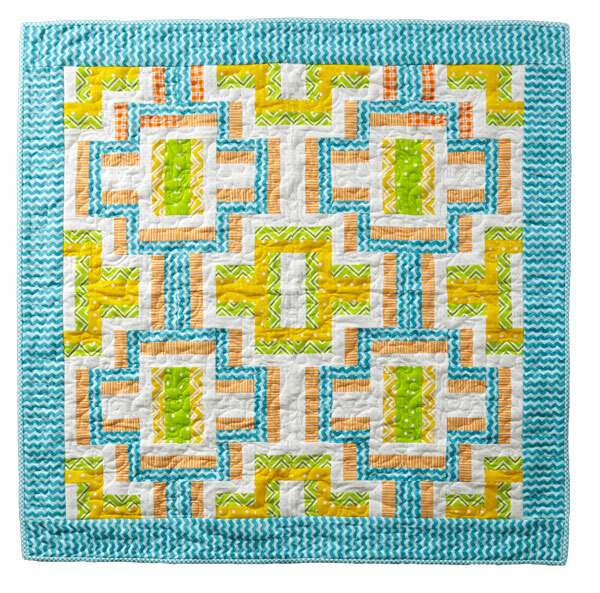 Sudoku is the second quilt I made with Urban Scandinavian by Kirstyn Cogan for P&B Textiles. This quilt uses all of the color prints from the line, where Silent Film used all of the black and white prints. 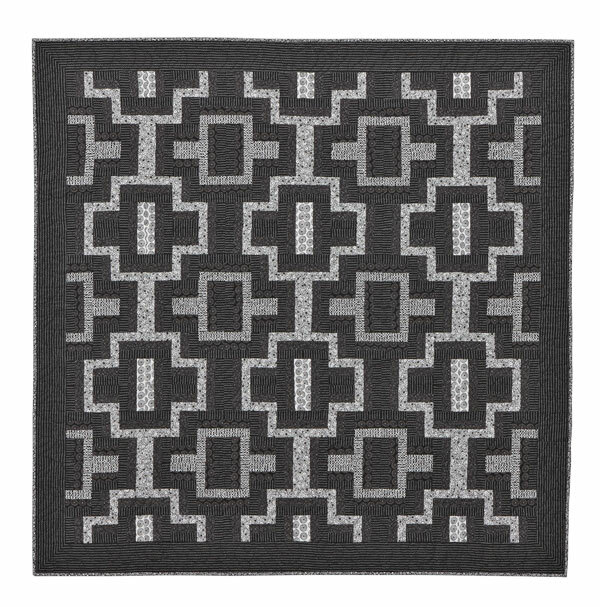 Sudoku was featured in the Fall 2016 issue of Scrap Quilts from Fons and Porter and features a star-in-a-star block that I just love. I chose the Star-in-star block in order to use as much of the line as possible. Each print has a light and dark counterpart in each motif, which made the block so successful. Its not overwhelming or jarring, the prints flow harmoniously, there is visual interest and movement. 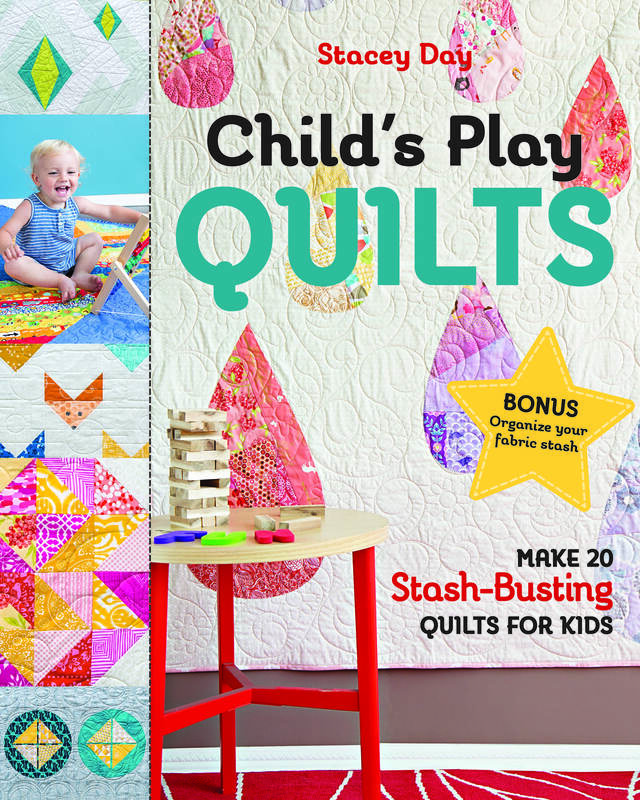 The quilt is perfect for a baby quilt, and the pattern can easily be brightened up with a selection of colorful prints or solids. Imagine an ombre solid, with the light in the center and the dark in the outer star? Yum! 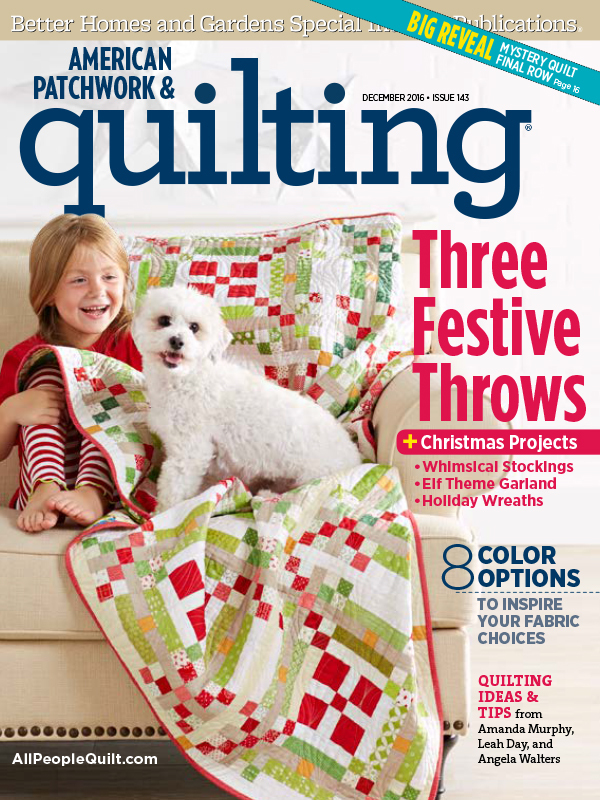 It’s in the Scraps Quilts issue because each star is made from small amounts of different fabrics. The prints cycle through, and then repeat on the bottom row. You could bust out a whole lotta scraps and leftover pieces with this one! Got a Fat Eighth bundle hanging about that you don’t know what to do with? Sudoku to the rescue! 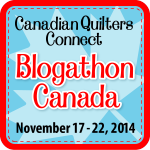 I quilted it all over in a swirly pantograph called Brittany from Anne Bright Designs. It is one of my favorites, lots of movement and interest, works well with almost anything. The sample quilt finally made it home after an extended stay in customs, and just in time. Isn’t it perfect with our Christmas tree? I foresee lots of snuggles and hot chocolate in front of the fireplace with this one! I am happy that I finally remembered to share this with everyone! As you know the last few months have been super busy preparing for the new house and baby. Now that things are settled down, I realized I still had quilts floating around out in the world that were ready to share. Wave hello to Silent Film. Silent Film – Used with permission from American Patchwork & Quilting® magazine. ©2016 Meredith Corporation. All rights reserved. 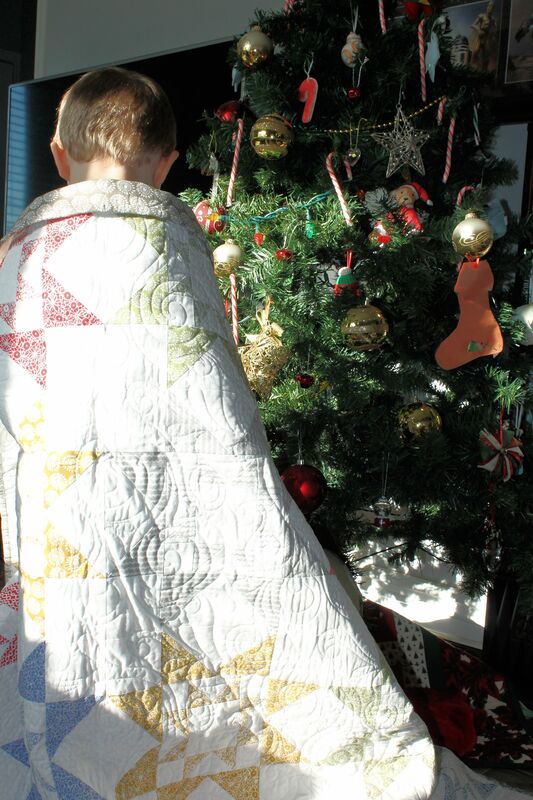 Silent Film is one of the quilts featured in the December issue of American Patchwork and Quilting. I sewed this up ages ago, mailed it off, and then promptly forgot about it until the lovely editor emailed me with pictures and a release date. I designed Silent Film as part of the Urban Scandinavian collection by Kirstyn Cogan for P&B Textiles. Black and white collections are always a challenge for me. I love color, so B&W is right out of my safe box. Designing with it always comes down to value. I used different variations of black on white and grey on black to create subtle changes in value, and the striped print for visual interest in the blocks and border. The resulting quilt reminded me of an old-time movie theater, playing a black and white movie. Silent film is the perfect sofa quilt. Back it in a soft flannel or minky, and you have a cuddly yet elegant quilt to snuggle up with and watch your favorite movie. And when guests come over, Silent Film can be left folded over the couch as a sophisticated party guest! 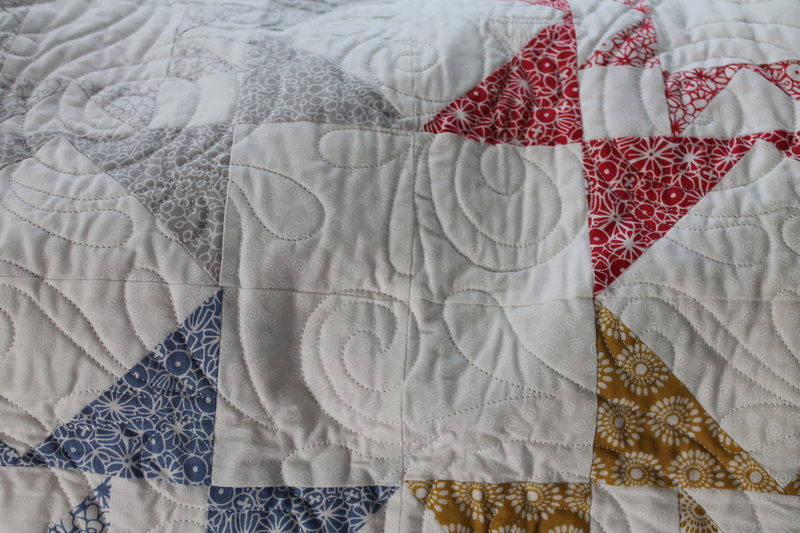 Funny story about this quilt- this was quilted on my friends longarm, back when we had a small quilting co-op running. I was on a tight deadline, and I was SURE that I had black thread in my cubby at the space. I got the quilt loaded and wouldn’t you know, NO black thread! I almost panicked, and then started auditioning other colors. This is actually quilted with Navy Aurifil 50 wt. The thread was very fine, and it blends in into the quilt so well you cannot even tell. It was a close tie between this and a beautiful warm violet 40 wt Aurifil I had at the space. 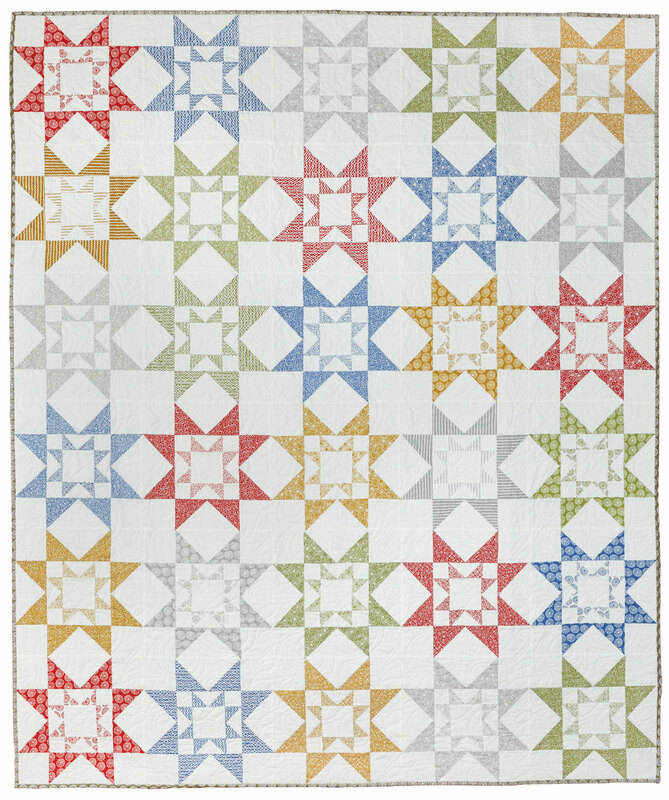 Of course, we also love color, so the good people over at American Patchwork and Quilting made up this lovely mini version using color prints from Alexander Henry. Used with permission from American Patchwork & Quilting® magazine. ©2016 Meredith Corporation. All rights reserved. As you can see, it makes a fun statement and would be perfect for gifting to a new baby! You could also use black and white and a touch of color. The possibilities go on and on with this one!